OSMONDS MUSCLE MASTER™ SUPPLEMENT is a powdered supplement that was first produced almost twenty years ago. * OSMONDS MUSCLE MASTER™ SUPPLEMENT is a powdered supplement that was first produced almost twenty years ago. 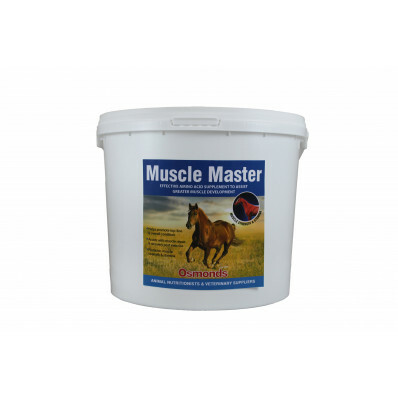 * It is high in amino acids and is a favourite product with those that require well muscled animals. 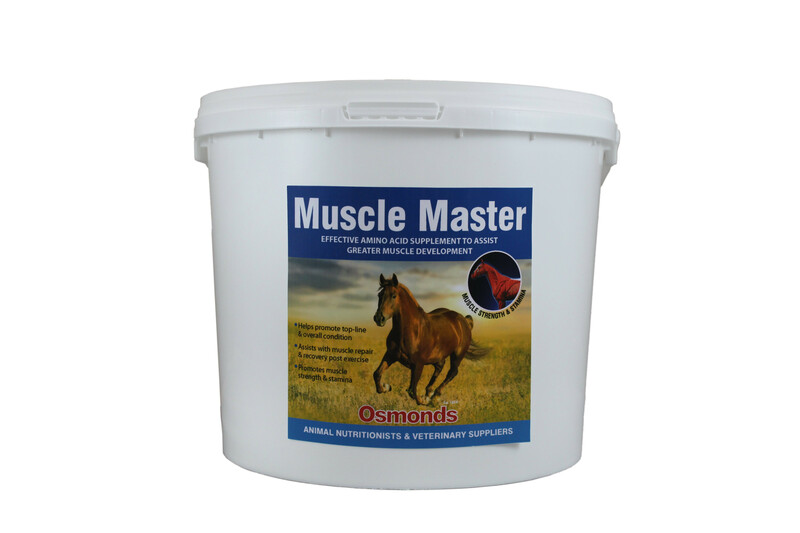 * OSMONDS MUSCLE MASTER™ has a similar effect on horses especially where muscle development is necessary. * Pigmentation is usually improved and a great shiny coat is the norm. * The qualities and effects of Dried Herbs and Diamond V Probiotic Yeast are well documented elsewhere. Osmonds are not allowed to make medicinal claims on this or any other product.